Yolande Bain-Horsford is a Grenadian politician. Yolande Bain-Horsford was born in the Parish of St. Andrew, Grenada. She attended the St. Joseph Convent High School, Grenville, St. Lawrence University of Applied Arts and Technology in Ontario, Canada and the University of the West Indies, Mona, Jamaica, where she majored in Gender Policy and Planning. Yolande Bain-Horsford public service career path included, Director of Gender and Family Affairs, Director of Women's Affairs, Institutional Strengthening (A United Nations Program to Support Good Governance), and Eco-Tourism. As Director of Gender and Family Affairs, she was instrumental in having the development, passing and enactment of the Domestic Violence Act of 2001. In addition, she designed and piloted high impact economic programs for low income and unemployed women in rural communities; designed and implemented institutional strategies and policies to support good governance as well as diverse Eco-Tourism initiatives in the Nation. 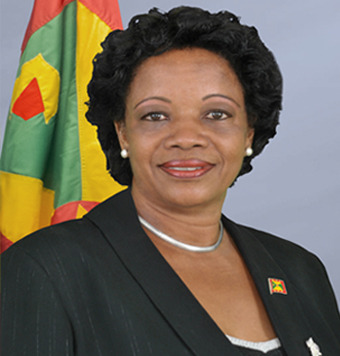 In 2001, Bain-Horsford's achievement was once again recognized at which time she was appointed as a Senator in the Upper House and became Parliamentary Secretary to the Ministry of Tourism, Civil Aviation, NIS, Culture, and Gender & Family Affairs, with specific responsibility for Gender & Family Affairs. In 2004, Bain-Horsford won the St.Andrews South West seat and joined the Mitchell Cabinet as Minister of Housing, Social Services, and Gender Affairs. In November 2014, Bain-Horsford was appointed Minister of Tourism, Civil Aviation and Culture in the Keith Mitchell Administration. In the 1 July 2016 Cabinet reshuffle, Bain-Horsford was appointed Minister of Agriculture, Lands, Forestry, Fisheries, and the Environment. Bain-Horsford is defending her St. Andrew South West seat for the New National Party (NNP) in the 2018 General Election.